Paris Saint-Germain will not be able to have Edison Cavani in the away match on Tuesday at Manchester United in the eighth finals of the Champions League. The striker still has too much trouble with his hip. Cavani suffered the injury last Saturday in the league game against Girondins Bordeaux and was since then a big question mark for the important confrontation against United. The Uruguayan became the match winner against Bordeaux. He scored the only goal of the match in the first half (1-0). Cavani is not the only one missing from United. Neymar dropped out at an earlier stage because of a foot injury, which probably keeps him on the sidelines for several months. 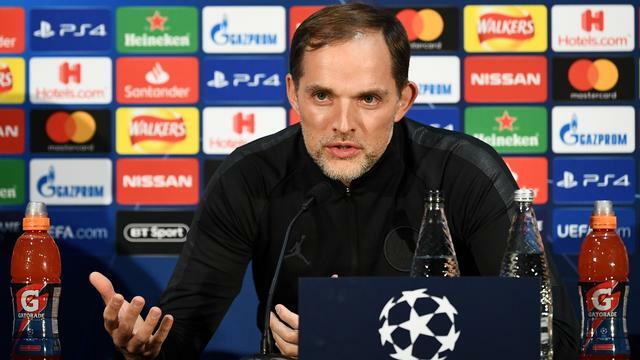 Trainer Thomas Tuchel is disappointed by the loss of the duo, but he does not want to put pressure on the only remaining star player of PSG, Kylian Mbappé. "It is not Mbappé's job to replace Cavani or Neymar, he has to play his own game," says Tuchel about the young Frenchman, who together with Neymar and Cavani this season is of great value to the French. Tuchel has a high cap from United, especially after the arrival of manager Ole Gunnar Solskjaer, who has been undefeated since his release in December, José Mourinho. "United has therefore become very different: they play with a lot of confidence, they make a lot of goals, are always ahead early and are working on an impressive series," he says. "Taking up against United is currently one of the toughest challenges we can face: in 180 minutes the odds ratio is 50/50, but tomorrow they play at home and I'm not sure if it is 50/50." Manchester United-Paris Saint-Germain starts on Tuesday at 8.45 pm at Old Trafford. The return will start at 3:45 pm on Wednesday 6 March at the Parc des Princes. United and PSG qualified for the eighth finals of the most important European club tournament by finishing second in Group H and finishing in Group C, respectively.